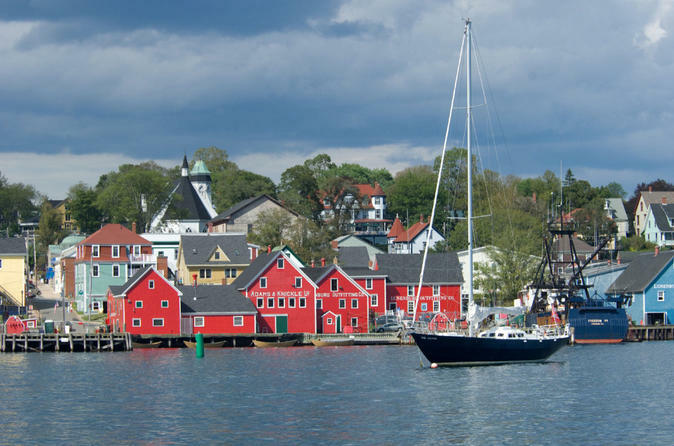 Enjoy a guided walking tour of Lunenburg or entrance to the Fisheries Museum of the Atlantic. From Lunenburg, continue with a drive through Mahone Bay, famous for its churches along the shore and its picturesque beauty. There will be plenty of time for exploring these remarkable seaside towns. The tour begins and ends in front of the Ambassatours Gray Line booth directly in front of the Maritime Museum of the Atlantic at 1675 Lower Water St, Halifax, NS B3J 1S3. Boarding begins at 9:45am for a 10:00am departure. Your tour is fully narrated by your Driver/Guide. Enjoy some history of Halifax on the drive out to your first stop in Lunenburg. Once off the bus, you have the option of joining the walking tour led by a local guide, or going to explore Lunenburg's Fisheries Museum of the Atlantic. There will be some free time after either option, and if you choose the walking tour, you can still access the museum free of charge with any remaining time. There are some local shops available. The bus will then head to Mahone Bay, where you will see beautiful views and a narrated commentary on the town. There is free time to explore the shops and cafe's before the bus departs back for Halifax.